First proper album in 8 years from the long-running, genre-hopping, impossible-to-kill British folk-punk collective. Deluxe LP on clear teal vinyl. Standard LP on black 180-gram vinyl. Includes digital download. The Mekons thread humor and poignancy through songs that crackle, veer, swoop and combust. 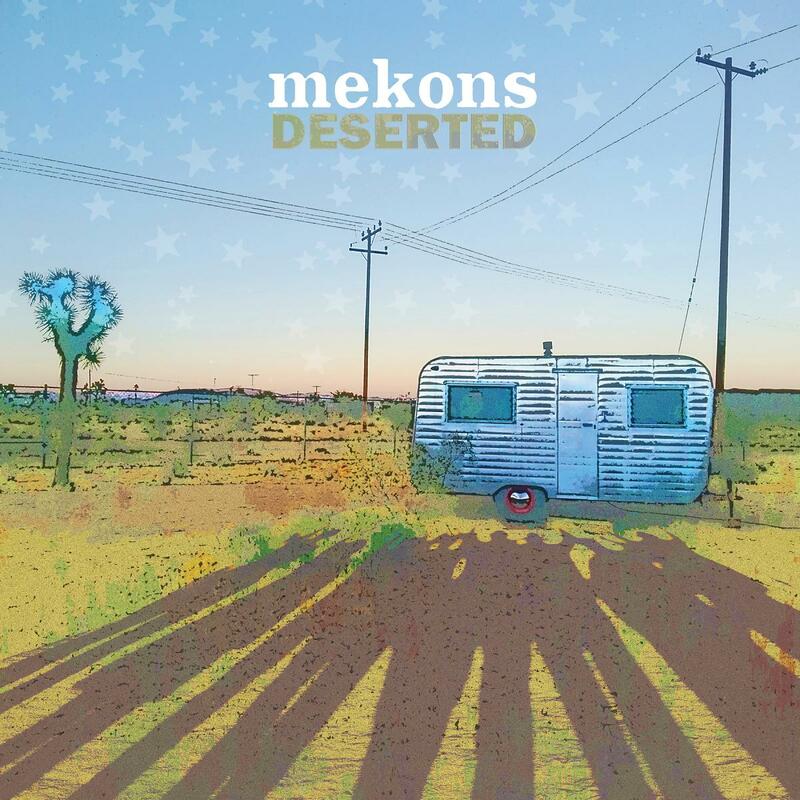 There are moments where everything feels ready to fall apart – as if the heat, sand and vast emptiness have driven everyone mad...Like so many of the best Mekons albums, “Deserted” feels like you’ve been dropped into the middle of an argument just before a brawl breaks out. In the end everyone staggers ‘round the campfire and passes around a bottle and makes up a few songs about what just went down. It’s the blooming desert and its inhabitants as testimony to resilience, invoked by a crew of joy-marauders who’ve embodied resilience for four-plus decades. Things may look more fucked than ever, but why stop now? The group is more contemporary than bands that formed last week...The world as they know it is going down, and then screams, which make history into a present moment. You are there; you can feel it.